Shifting the Monkey: It is so hard to separate personal and professional connections I make when in a session with Carol. I suppose they are interconnected as my work in education is very much people and relationship based. I guess we all are guilty of shifting bad monkeys when we vent to our friends or loved ones about goings on in our lives... It's a human trait. But being aware of when and how these bad monkeys are shifted is so important to the work of leaders. James talked about the Beach ball perspective here. What part of the beachball are you looking from? The Politics of COLLABORATIVE expertise. Reading Summary: #1Change the narrative. Focus on learning. Focus on progress. Everyone working collectively to improve student achievement. "We need to get collaboration in schools before it goes between schools"
I disagreed because I made a connection to the pencil metaphor. 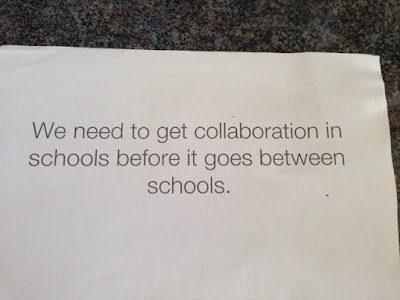 Judging by the thousands of teachers who are connected through the NZ Primary Teachers Facebook page, we are still a long way off from collaborating in schools. The sector needs leaders, early adopters, movers! Shakers! 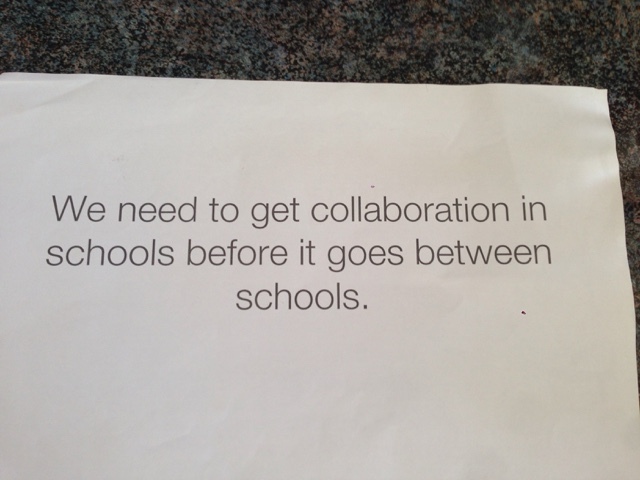 to carve the way to what collaboration looks like between schools. I believe there are pockets of people in schools who successfully collaborate who are ready to move forward and collaborate between schools. 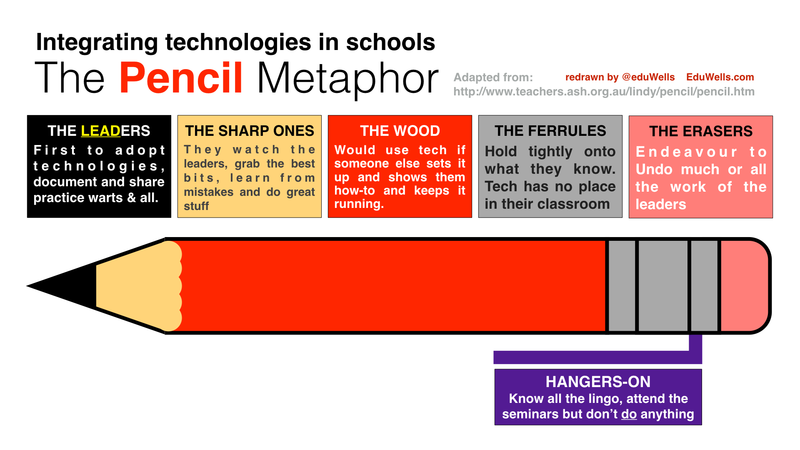 I have a hunch that this may help the schools who haven't got the "in schools" part yet, get amongst it. Why is it important? Because we, collectively, have the responsibility to raise student achievement. Walk off the earth video - what is collaboration? Working together, in your own unique way, towards a collective goal. "Who" is getting in the way of improving student achievement? Can you think of a name on your staff who might be? What is it? Why? Is it the same for all learners? Esteeming success - valuing and uplifting success - ACET teachers. Sharing knowledge in and across schools. Examining good practice. Random wondering... So what? ACET become ACET teachers and then what? Does their practice change? What more do they have to do? Do they get to juggle any more monkeys? We need to examine what it is that our best teachers are doing... If we are thinking about expertise then we have to evaluate what effective teaching is. If people are getting in the way of improving student achievement, then perhaps as educators we might not be that great at evaluation... Food for thought. One action: Grow our writing stamina sustainability. Read to the end of #task 6 for coaching session. Chapters 1 & 2 of Shifting Monkeys. How do you do learner agency?